The trackplan was designed to have the most switching possibilities in less space. It features all a working plan needs. There are two opposite located services – North is a factory which can hold two cars and south is a teamtrack. The two tracks escaping the layout to the left can be used as a run-around. On both ends are hidden staging transfer-tables which can hold up to six additional cars. 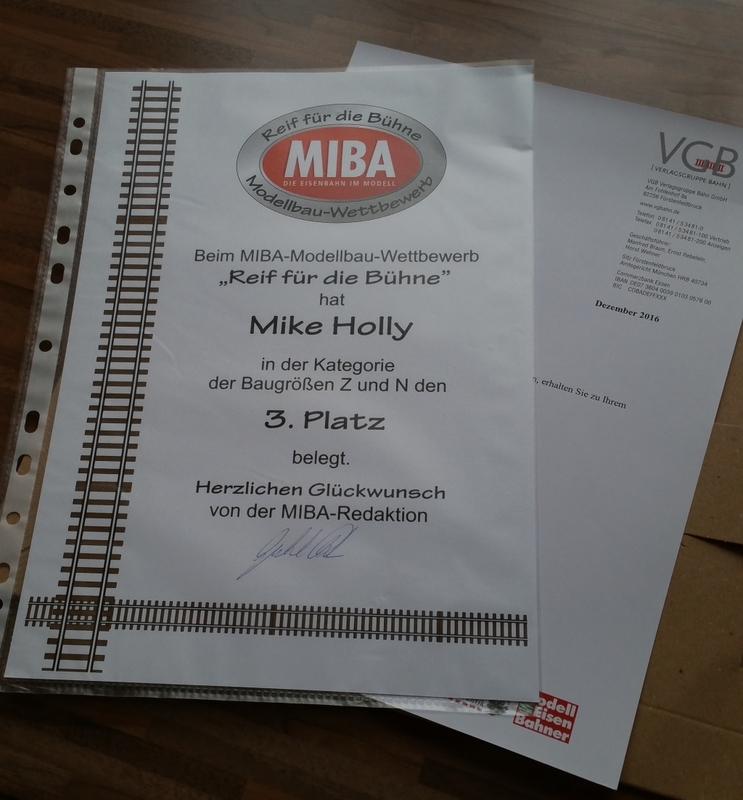 I submited the layout for the layout contest “Reif für die Bühne” issued by the MIBA magazin. 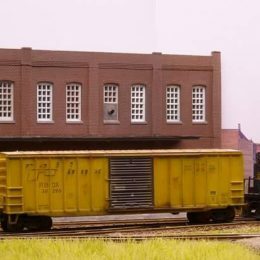 My layout was featured in the October 2016 issue and open for public voting until November 2016.